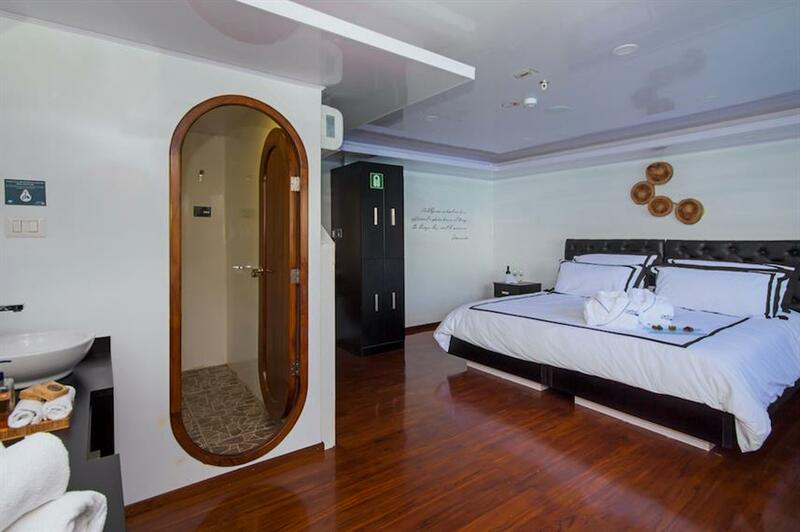 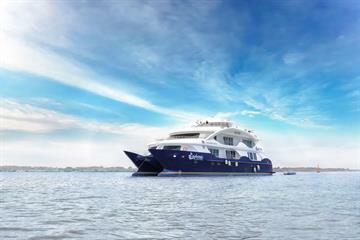 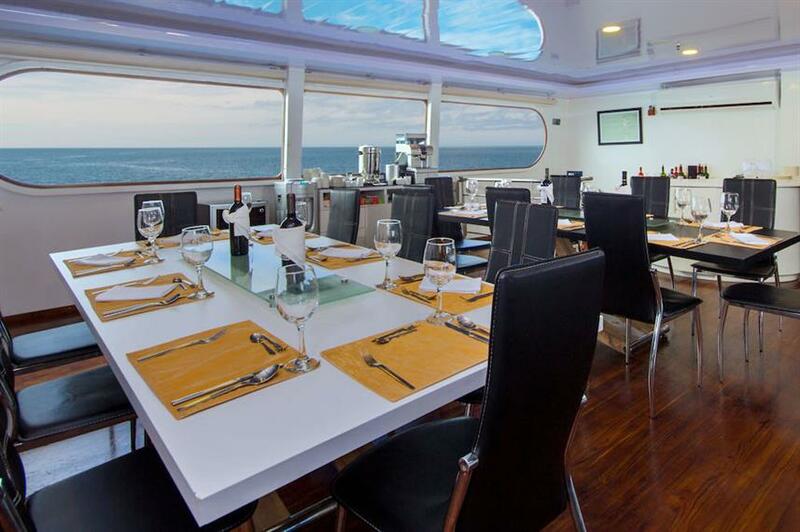 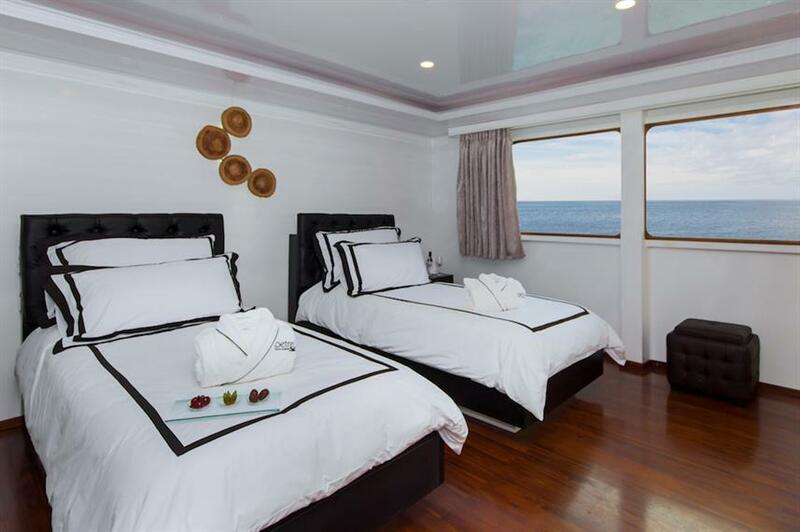 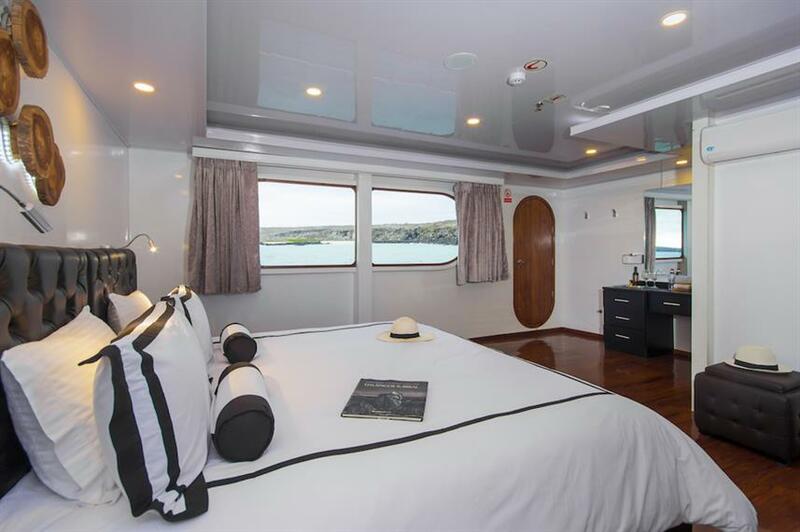 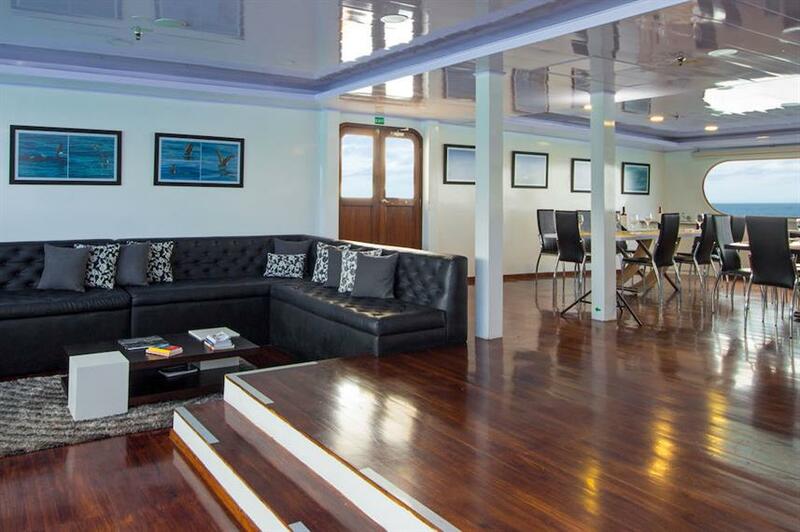 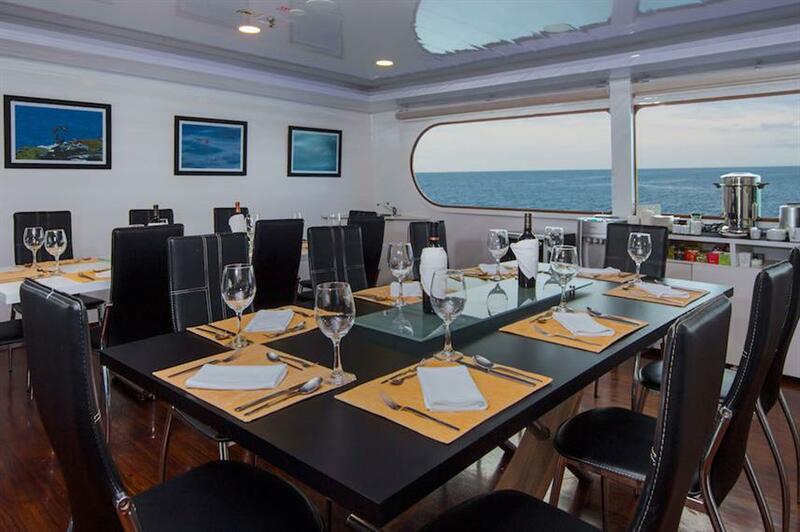 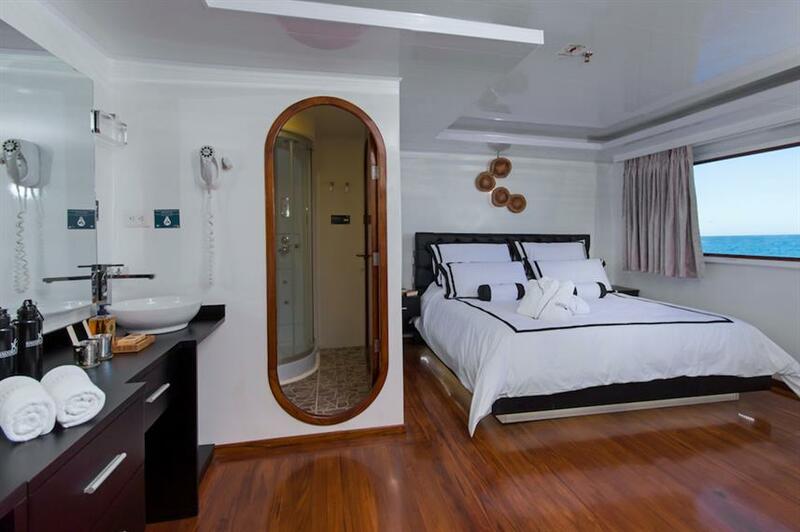 Travel in comfort to the Galapagos aboard the Petrel luxury catamaran. 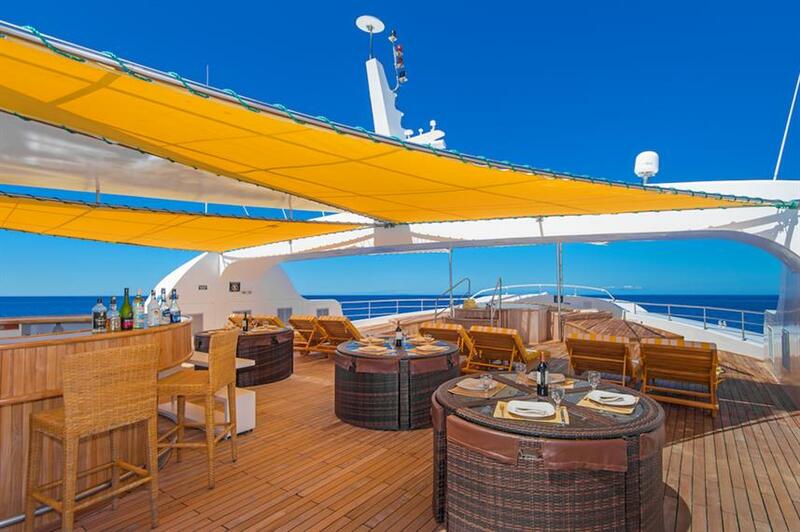 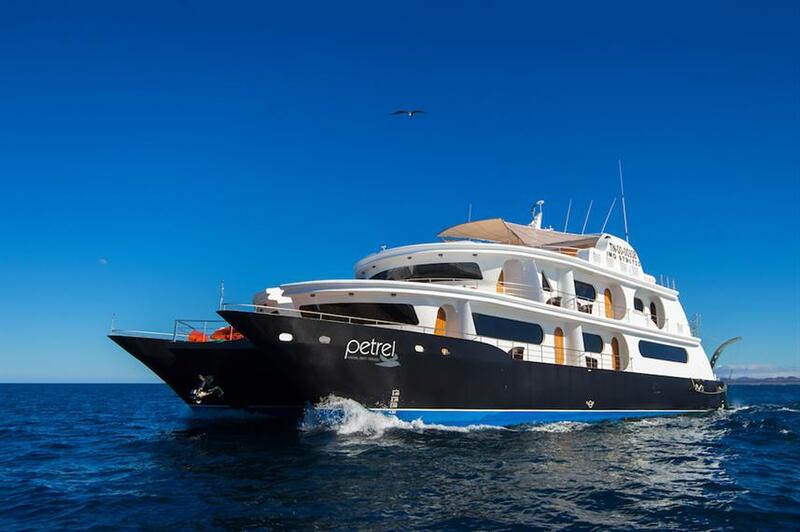 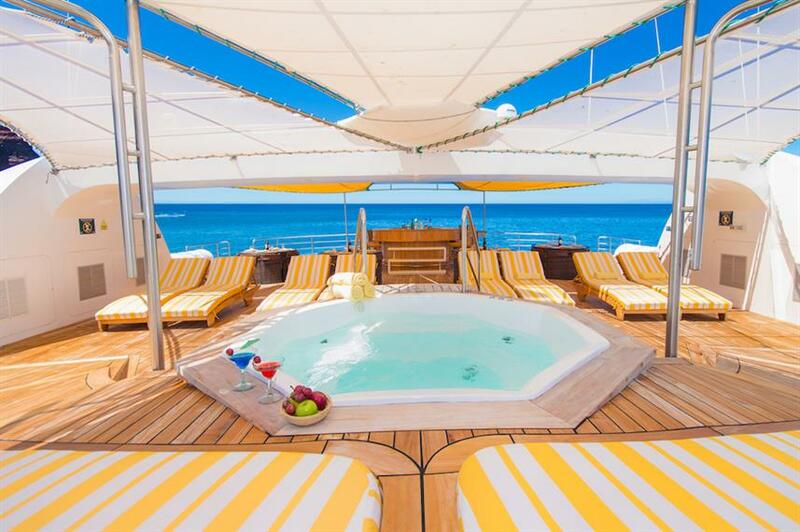 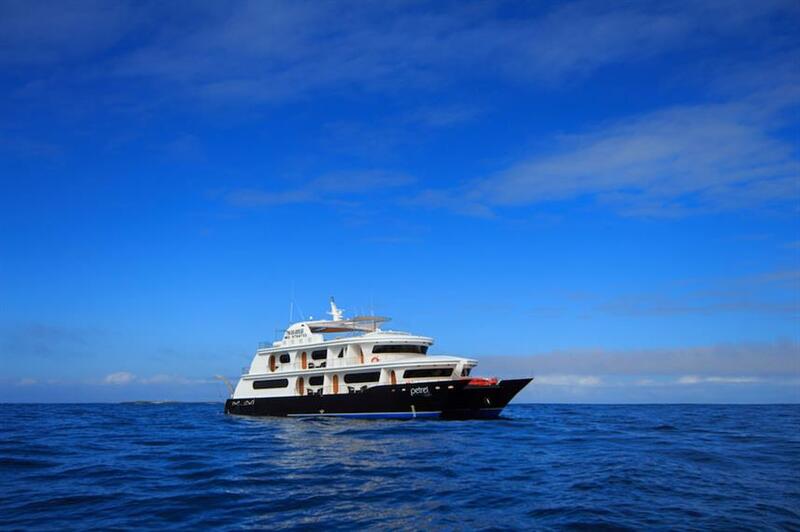 Newly constructed in 2015, the Petrel offers year-round adventure cruises to the world-famous Galapagos Islands. 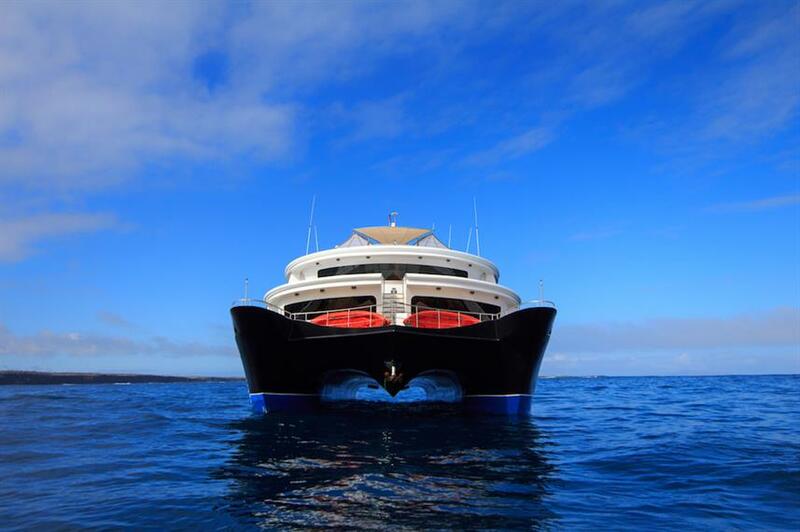 Cruises range from 4 - 8 days, giving you the most flexibility for your Galapagos adventure, with departures on Monday, Wednesday & Friday. 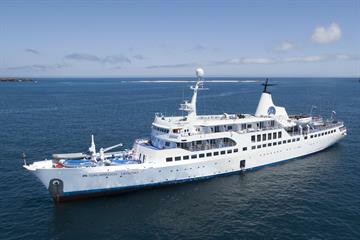 Itineraries can also be combined to create a mega-cruise. 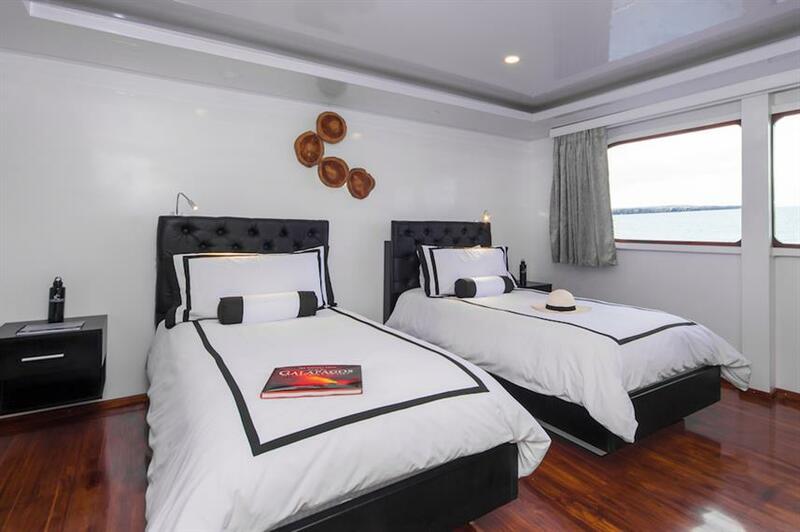 Knowledgable bi-lingual guides will share their passion of the area as you explore North Seymour, San Cristobal, Santa Cruz and much more. 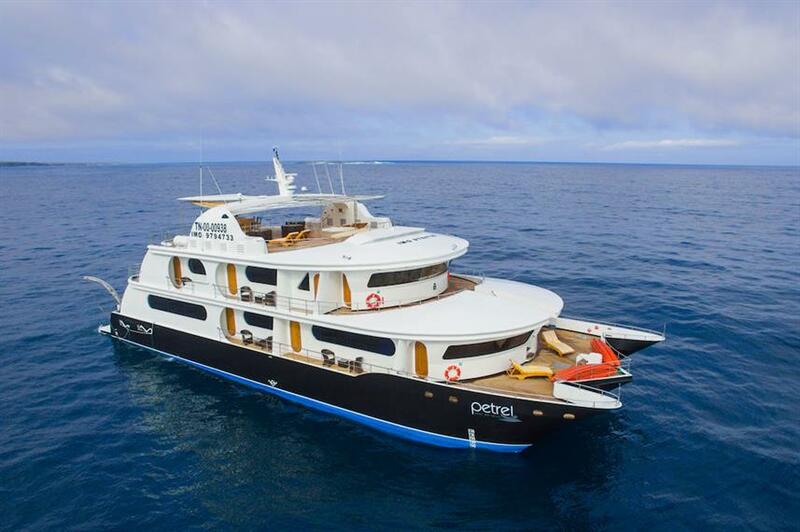 Some itineraries include hiking the Sierra Negra Volcano to be rewarded with stunning views, snorkeling with spectacular marine-life at Isabela Island, and getting up close with playful sealions and their cubs at Isla Lobos. 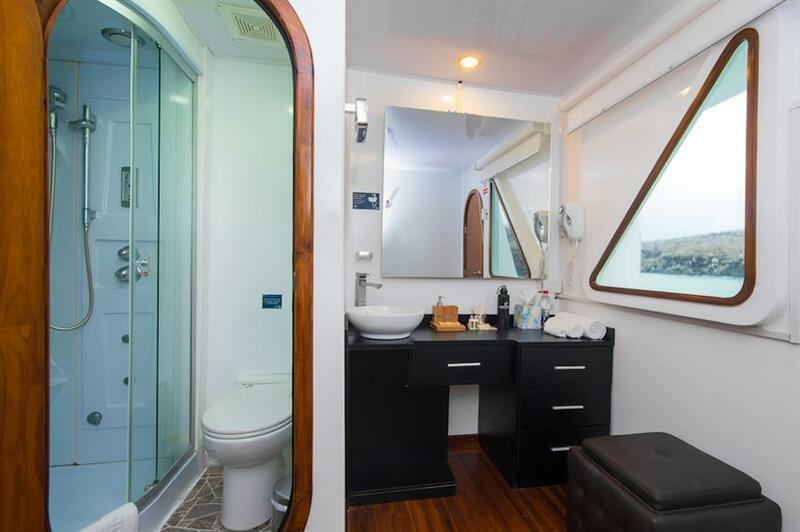 Topside the Petrel catamaran has all the amenities you would expect from a luxury ship. 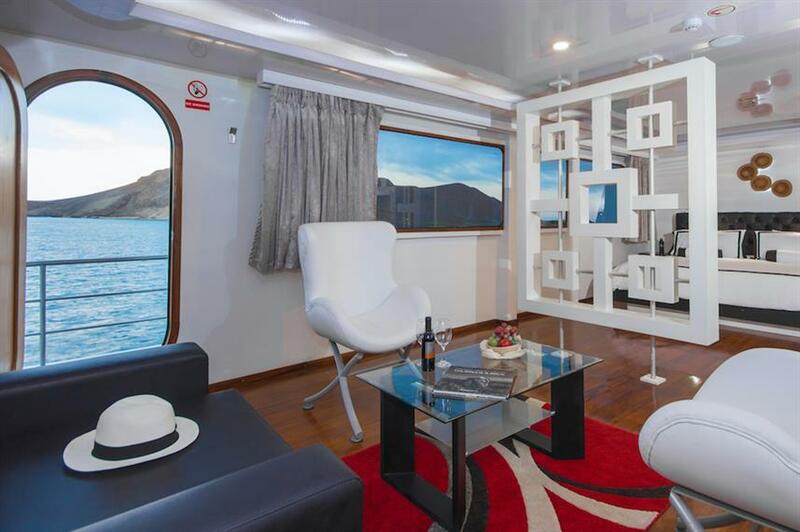 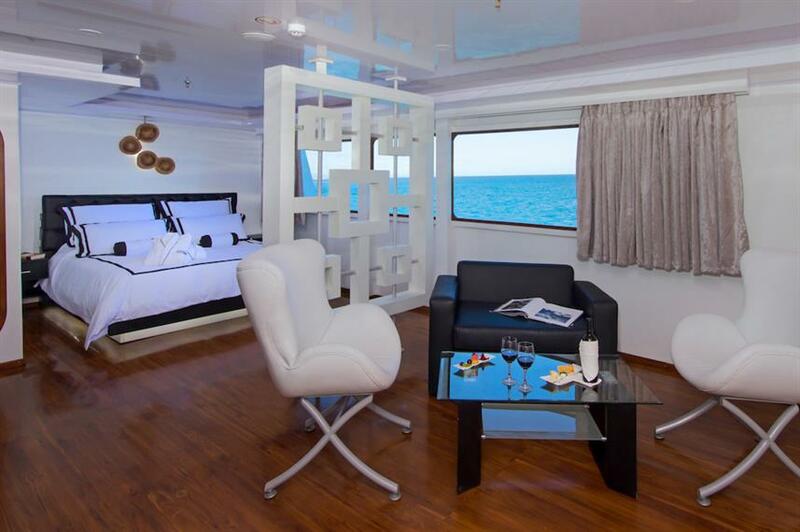 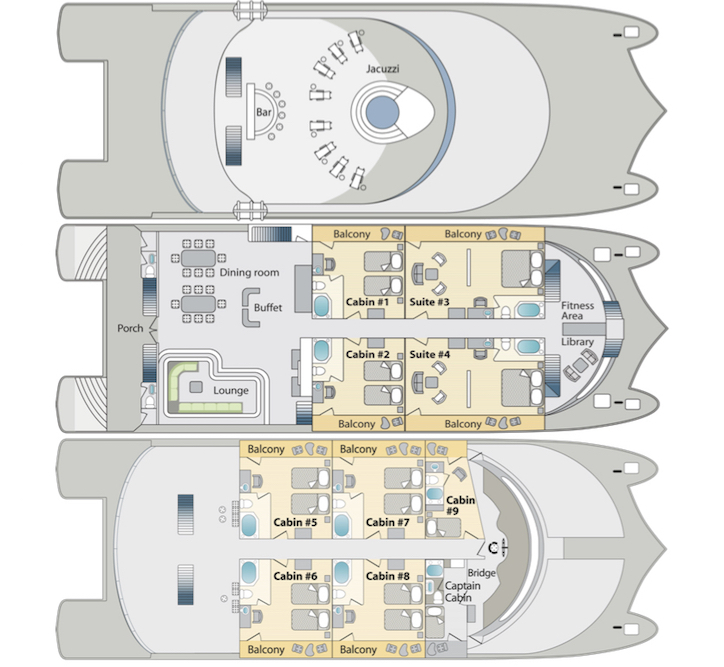 Designed with comfort and stability in mind, she caters to just 16 guests in 9 cabins, ensuring a more personalised service. 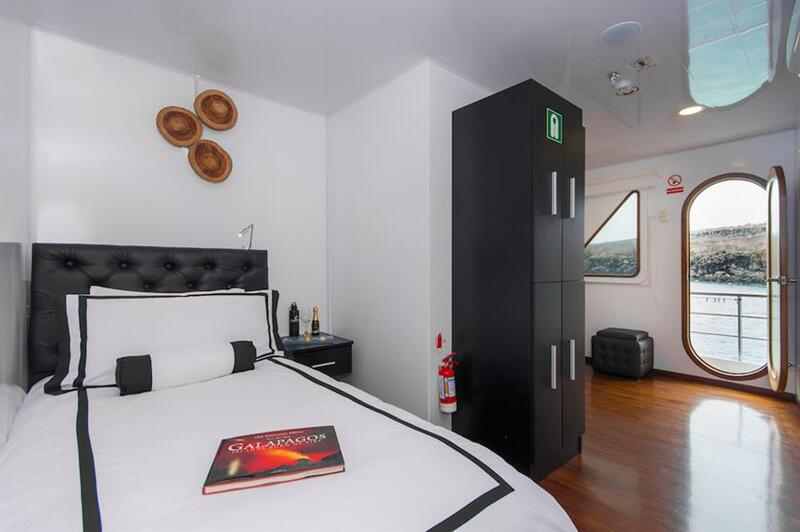 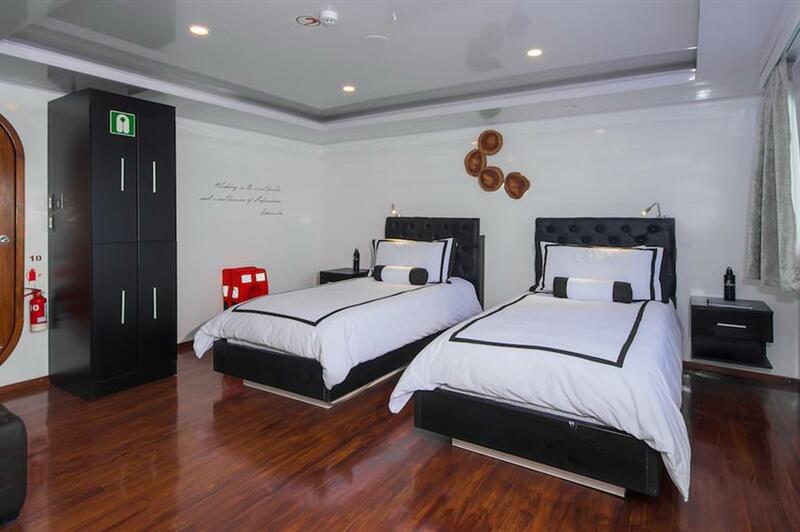 Each of the cabins features a private en-suite bathroom, AC, double or twin beds, ample storage and living space plus a private balcony. 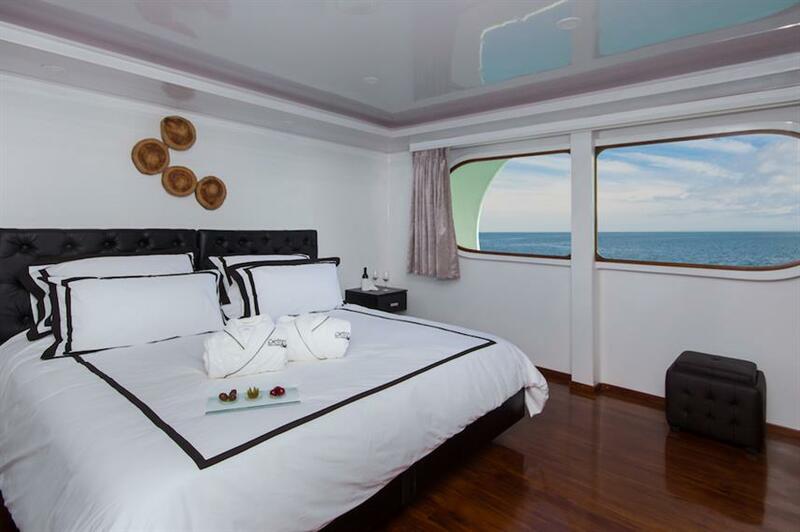 For relaxation guests can choose the spacious sun-deck with loungers and hot tub and al-fresco bar with dining area, or enjoy the AC in the indoor lounge and dining room. 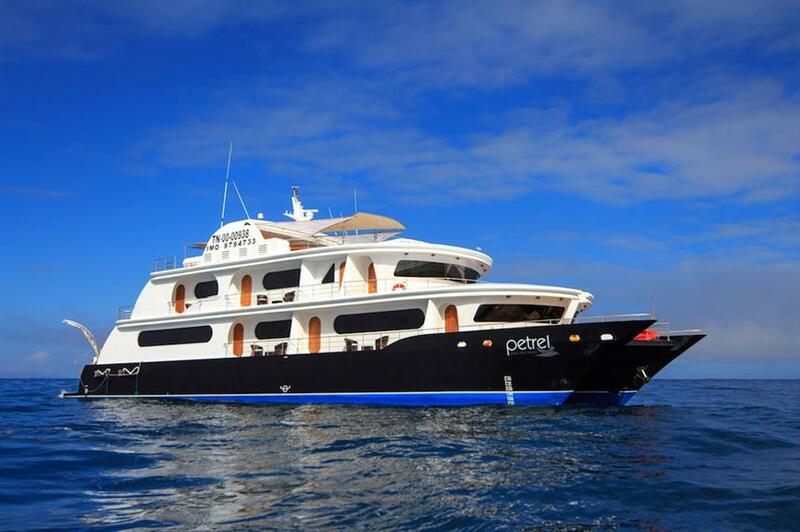 Let the 11 experienced crew of the Petrel catamaran help you to create a vacation to remember. 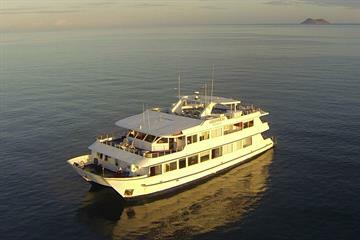 Trips to the Galapagos fill up fast, so call us or book online today to reserve your space today. 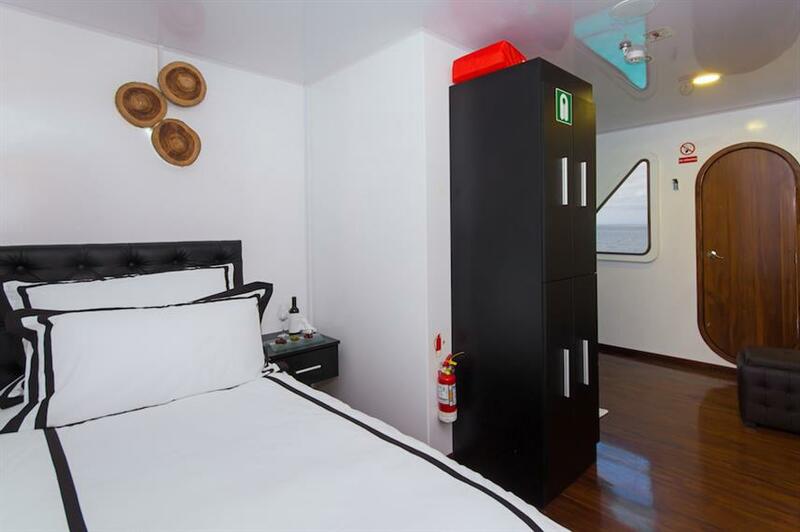 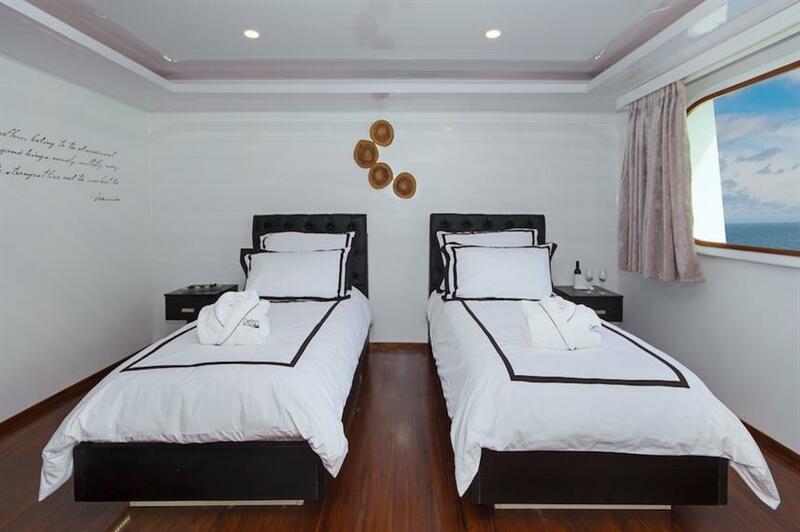 Included: VAT, Airport Transfer, Drinking Water, Soft drinks, Tea & Coffee, Welcome Cocktails, Full-Board Meal Plan (All meals), Snacks, Kayaks, Land Excursions, Naturalist Guide, Snorkel Gear, Cabin Towels, Complimentary Toiletries. 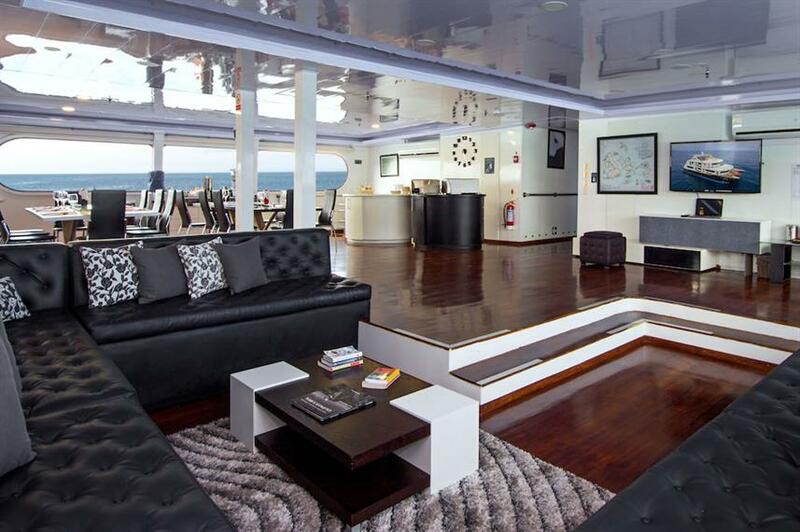 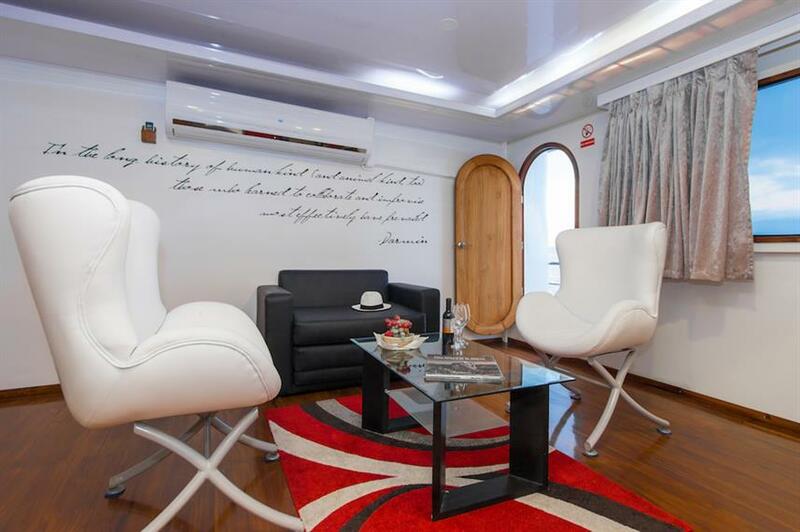 Optional Extras: Gratuities, Local Flights, Alcoholic Beverages.